A few weeks back Dana from Made asked me to test out her newest pattern. I was so excited to just be asked and then even more excited when I found out it was for a vest. Not only a vest, but a reversible vest! 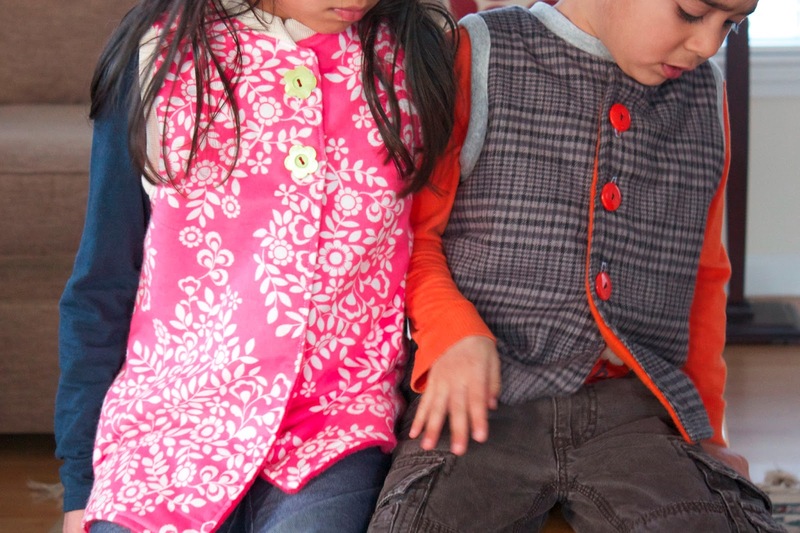 I am a lover of vests and I've got 2 kids that love being cozy, how perfect. Dana gives great tips and fabric suggestions in the pattern and in typcial fashion I decided to push the envelope. I upcycled a sweater for one side and used microfleece for the other. 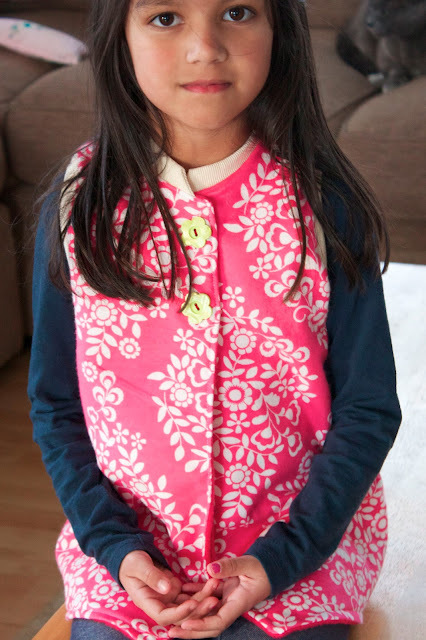 The vest and pattern are great, but I wasn't thrilled with my initial fabric choices. For my second attempt I used flannel and blizzard fleece. Much better choices in my opinion. The blizzard fleece and flannel are a little less floppy and gave the vest little more structure. I cut a 3T/4T for the skinny 4 year old boy, and the sizing is just right. He's on the taller side too, so I think next time I might make it longer. I cut a 4T/5T for the 6 year old, who is also a tall and skinny. I added a few inches to the length and made the armholes bigger before adding the binding. She's all about the pink and was in love with this flannel. I convinced her the green buttons would be a nice touch rather than pink. And the fit is great too. So overall, the pattern is great! There's one pattern piece, awesome, and the instructions are really easy and clear. I sewed both of my second attempt vests in under 2 hours! Including cutting time! It doesn't get much better than that. Checkout some other great Flip Vests here and here. You can read more about the pattern (and purchase a copy) HERE. So, are you ready to win a copy of your own? Leave a comment with your email address to enter to win a printable copy of The Flip Vest pattern (pattern will be emailed). Giveaway ends FRIDAY, MARCH 1, at midnight Eastern Time. 3 winners will be chosen at random!! And, a huge thank you to Dana for including me in this recent pattern launch. So fun! Great vest! Nice fabrics you use. yes, I want this pattern! oh, Flip vest also here! So cute your children! Love this pattern! Thank you for the giveaway! 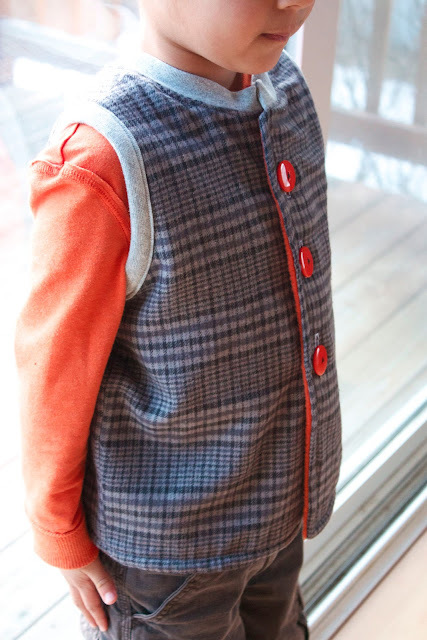 I'd love to make this vest for my boys! Looks great! So fun. I love the plaid fabric. My boy is turning 4 in a couple weeks. A new vest would be a great birthday gift. Thanks! That would be something for my grandchildren. My 4 year old granddaughter lives in a drafty house. Making this would warm my heart, as well as her little body! Thanks for the opportunity to win. 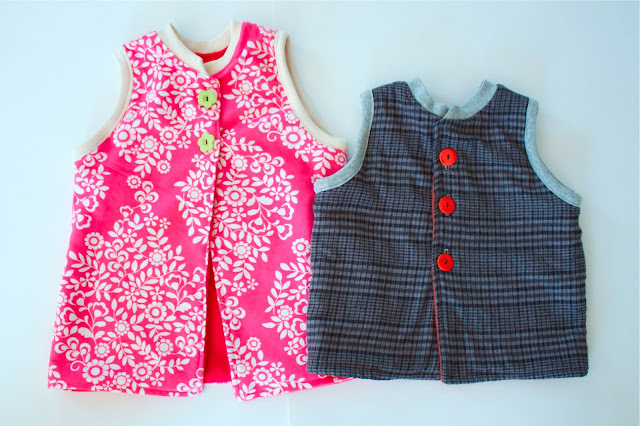 My nieces would look so cute in matching or coordinating vests!! so adorable. and i love that flower buttons. Cute! I've been seeing this vest all over the place. Would love a chance to win one! Super cute! Jenniferbanando@gmail.com. Thank you! I'd love to try making something for the kids to wear. Oh, I've been loving all of these cute vests! Would love to win the pattern! So cute! I'd love this pattern! I love her patterns and it's been so fun to watch all these vests take shape! Would love this pattern for my little guy! Adorable! 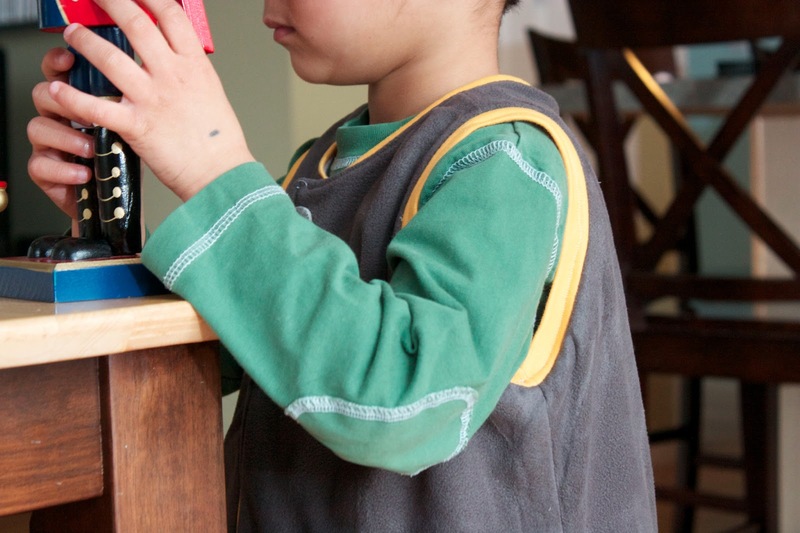 Love the green buttons! Love your versions of the vest! those buttons rock! I like hearing you adaptations for your six year old - I have a tall one too. I also love the suggestion of blizzard fleece and flannel - soft and warm. My kids (okay, I) want this vest! Thanks for the giveaway! wow, I love the pink one!!! So cute! Would love to make them for my twins! WHAT A GREAT VEST! I'm hoping my # is the lucky one. Great job on the vests there. I love flip vest and your versions are fantastic! I "need" to try it for my 6 and 8 aged boys! I love Dana's patterns so easy to follow and great that you made a girl version. i am so in love with your fabric choices! i know my little ones would LOVE these vests. thanks for the awesome giveaway! Wow! I'm new to sewing, but I would love to try this pattern. Would love this pattern!! 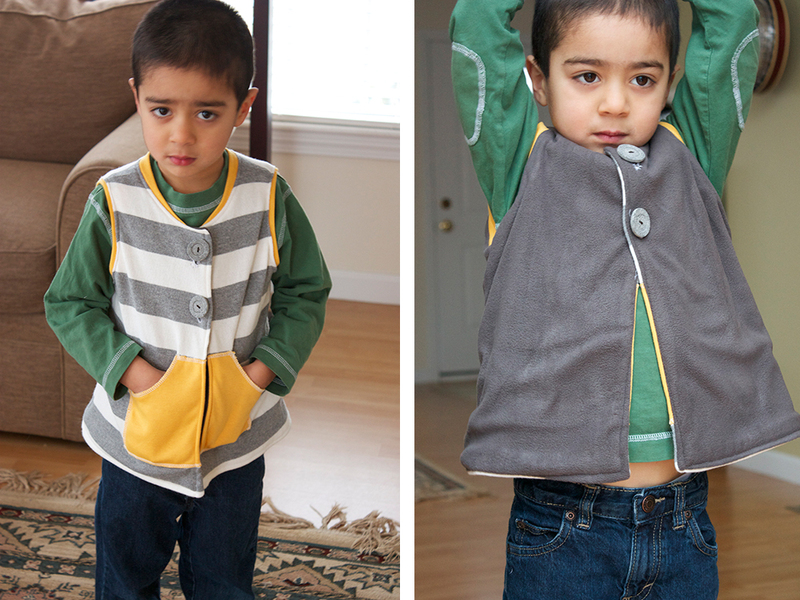 I have two little boys that would love a homemade vest!! the vests look awesome. thanks for the giveaway. I would love this pattern for my guy! Thanks for the chance! I love the pop of orange on the plaid one! Love the floral version! thimblenest (at) gmail (dot) com. Nice vest. 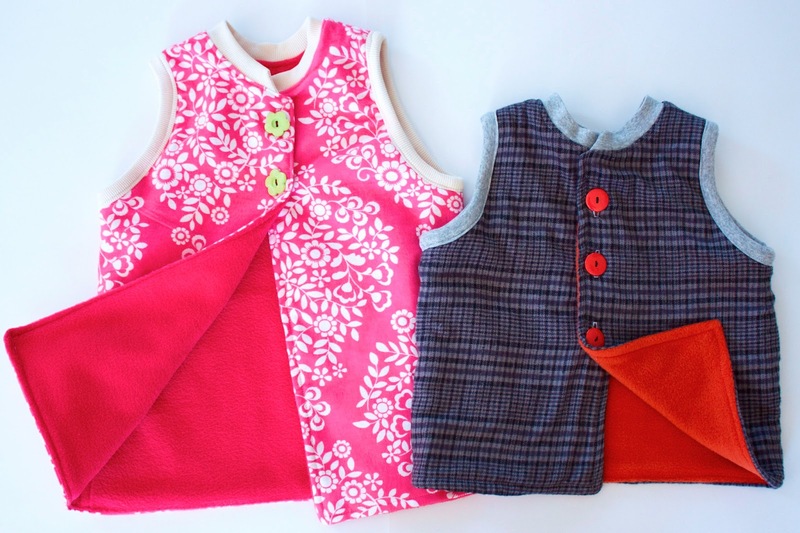 A friend loves vests, so i would like to sew one for her little Baby girl to her first birthday in march. Yay - Love the way yours turned out and appreciate your tips on fabric selection. I have had my eye on this pattern ever since Dana introduced it! Fingers crossed!!! Love your girl version! Thanks for the giveaway! I have so many ideas of how to made this vest with different colors/fabrics from my way too huge stash! I hope I win! Thanks for the giveaway! Such a cute pattern - my two year old loves wearing vests! It looks like a great pattern and I like the idea of upcycling old garments... but I do know it doesn't always work as well as I'd expected... the fun in trying I suppose! I would like to participate, thanks for the opportunity. Love this vest! 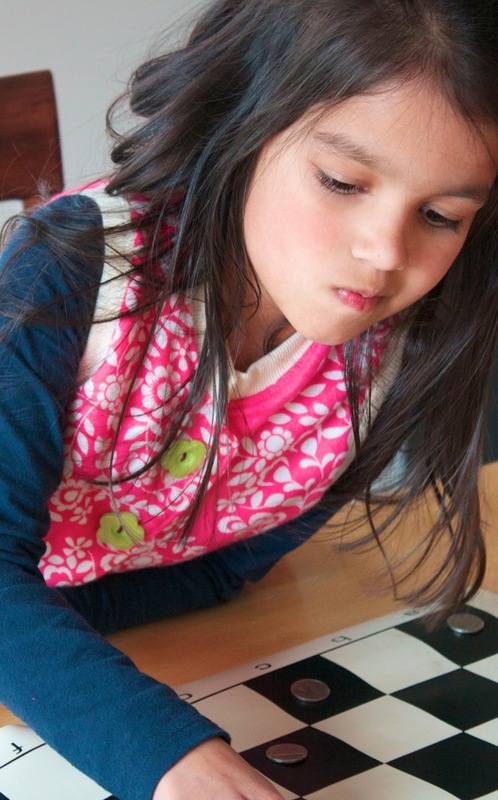 Nice work on your own styles Ruby! Ooooh, I hope I win! Love it! Great vest pattern! Would love to win a copy! 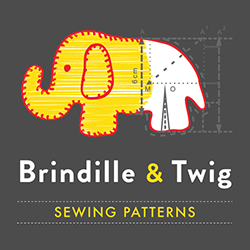 what a beautiful pattern and so practical, would love to win this pattern for my kids! Great pattern. I am a big fan of Dana's creations...would love to win a copy of this one. Would love it for my boy! This is an adorable vest! think they would really like it! Fab pattern, great addition in time for CTB. would love to win this for my little man, would be great in UK where weather stays chilly til almost june!! I love this thing! It's so versatile! She did it again. Thanks for the giveaway! maybe I'll be making vests this weekend? Woot woot! Love vests. Need to make one for my son as the weather is starting to get cooler. I love that the pattern can be used for boys and girls. Yours turned out so cute! Soo cute! I love it. Thanks for the chance to win! Great pattern! I wish I can win! Awesome! This would be great for my kids. I love the pink with green buttons. Perfect for spring! My youngest LOVES vests...and being cozy too!